The immersive card game unveils co-op mode. Today Asmodee Digital and Fantasy Flight Interactive announced the awaited Coop mode, for The Lord of the Rings™: Living Card Game™ is now live on SteamTM for PC and Mac and will be available to players throughout early access up to launch! As the team optimizes the co-op system, players will be able to try it out and fight side-by-side to tackle their foes, though they should be warned that Sauron’s forces will also receive heavy reinforcements to match them. "We couldn’t be happier to unveil co-op mode for our players. 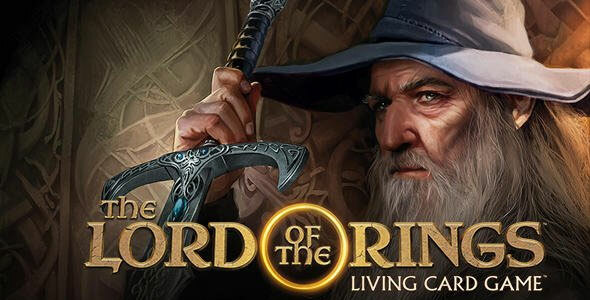 This is a whole new way to experience The Lord of the Rings: Living Card Game game and we’ve integrated tons of new features to make battles between your friends and the dark forces of Sauron seamless." said Fantasy Flight Interactive’s Timothy Gerritsen.